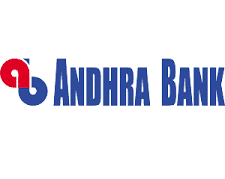 Andhra Bank is one of the five government banks in the country, which are currently offering the highest rates of interest on fixed deposits. Therefore, the bank is today enticing more and more investors for term deposits. For senior citizens, an additional 0.5% would be given for an amount up to 1 crore only. Staff and ex-staff rates are applicable as per rules. The revised rates mentioned below for amount below and above 1 crore are effective from 2 March 2018. You have to take permission from the general manager to deposit amount above 10 cr. Senior Citizen and Staff Rate of interests are not applicable to NRE/NRO Deposits. Give latest highest fd rates of public sector n nationalized banks. i can make FD for 35 lakhs and keep it for 2 years . But i need monthly interest . Please advice how much i can get monthly. I want to invest 2500000 & i am senior citizen how much i get monthly with deduction of tds i will submit 15h form. I want to deposit 30,00000/- on monthly interest basis I would like to know, is it possible at single account. i ant fix an amount of 800000 for 46 days. Please inform all benefits. i can't understand how the interest rates. I am NRI, currently working in Kuwait, I wish to Fix Deposit Rs, 15,00,000/- for 10 years, on monthly income basis. please inform rate of interest and required documents for opening of Fixed Deposit Account(NRE).